Dona Isabel Maria presents a Spanish underskirt for the category Togs Togs Undies! Over the last few years, the number of Spanish costuming resources has exploded as people translate portions of wills from both Spain and the New World. One of the more interesting wills mentioned a manteo that was described as "not put on over the head". This has been interpreted as a wrap skirt and, of course, I had to test this interpretation. 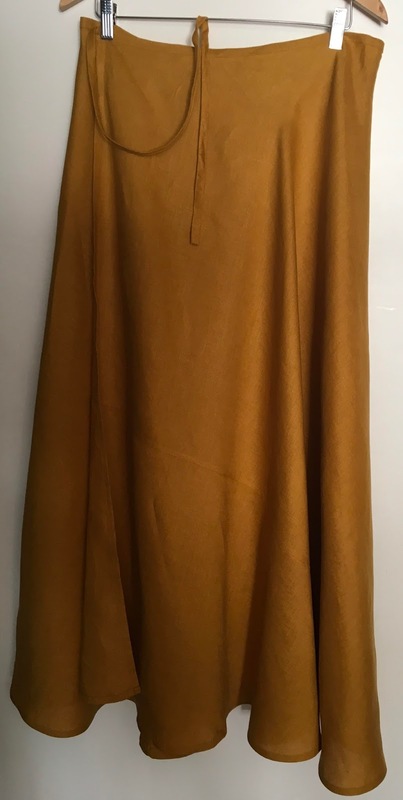 I decided to make it as an underskirt as part of a middle/lower class capsule wardrobe for camping events. Materials & Equipment: 3m linen, cotton thread (1 spool), beeswax, scissors, tape measure, preferred hand sewing needle, both editions of Juan de Alcega's pattern books. As I intended this as a working garment, I followed period imagery and chose to make it just below ankle length. As this was a test piece, I also chose to make it from linen and forgo the lining mentioned in the few, partially translated wills I can access. In order to make more efficient use of my fabric (and time) I decided to alter the piecing shown in Alcega's cutting diagrams. (This does not seem to be against his general philosophy.) After a few calculations, the fabric was cut and hand sewing commenced using a combination of running and whip stitches. 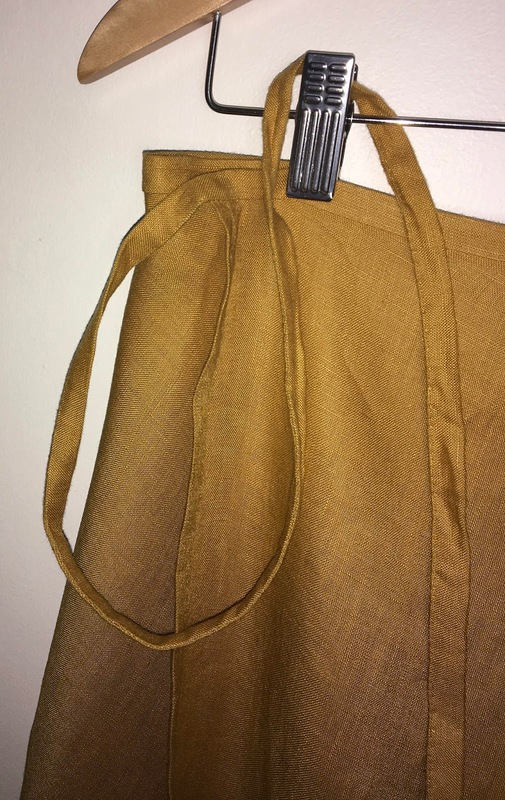 The piecing is done with a flat felled seam and the hem is a simple double turn under, both worked in running stitch (it just worked beautifully with the linen). 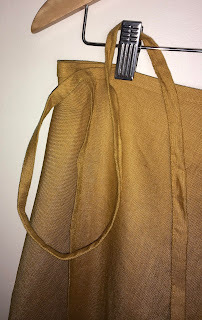 The waist is bound in a narrow strip of linen (finished with whip stitch) that extends to form ties to fasten the skirt. Verdict: Flattering, comfortable and now a workhorse garment.